THIS WEBSITE MAY CONTAIN AFFILIATE LINKS. Which means if you click on any of the links, I’ll receive a small commission. This blog is a personal blog written and edited by me. For questions about this blog, please contact Nikida at ThemeParkHipster@gmail.com. The reviews and opinions associated with this blog are my own personal views and in no way am I being swayed or enticed to favor a company. 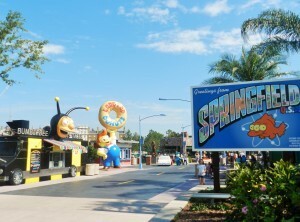 I write this blog for the pure passion of enjoying theme parks around the world. I am sometimes paid for my services through ThemeParkHipster™; however, this is something that I would do naturally for free. ThemeParkHipster™ may accept products for review from brands and public relations representatives. ThemeParkHipster™ tries to accept only review products of interest. The links and companies listed on this page, except for other blogs are associated with ThemeParkHipster™ and are referred to as affiliate links. Reviews are done based on honest assessments of the products received. If you would like to advertise on my blog please contact Nikida at ThemeParkHipster@gmail.com for further details and rates. ThemeParkHipster™ is a participant in the Amazon Services LLC Associates Program, an affiliate advertising program designed to provide a means for us to earn fees by linking to Amazon.com and affiliated sites. In accordance with FTC guidelines, ThemeParkHipster™ discloses pertinent post information in each post. ThemeParkHipster™ is also supported by paid advertisements which are approved for appropriateness by the owner.